The comfort Inn was a great place to stay. Love the convenience to the near by mall, restaurants, and stores/market. Also the metro was only 3 minutes from the hotel. Staffs were great and breakfast was ok. Reception staff were all nice and attentive. Room available upon check-in with no waiting time (my luck). Minor observations are no free drinking water (guest should bring their own water), water heater & cups to be requested, and towels were old. Overall I like the place and plan to stay again in the future. I was just there overnight between flights but found it to be a clean, modern, quiet hotel with a good location and a 24 hour supermarket across the street plus many eateries near by. If you take the metro from the airport it's about 5 stops to Union station then exit 2 or 2B if I recall correctly. Short walk after that. The room was big for three person. Design was impressive and love their decoration in the room. Location is super strategic as just located opposite the metro station (Union). The staff was a little irresponsible. It should be a manager which is male. He was at the counter when we arrived at night. We told him to send an electronic kettle and he answered “okay”, then he was busy talking on the phone. After waiting for more than 30mins, no one sends the kettle to the room. We walked down to the lobby again. He was still there and no sign of sorry. Only then he called the housekeeper to send the kettle. Quite ridiculous! Reminder: Do not take any food or beverage including mineral water because it's not FREE. Unless you don’t mind to pay but a convenient store is just opposite the hotel. 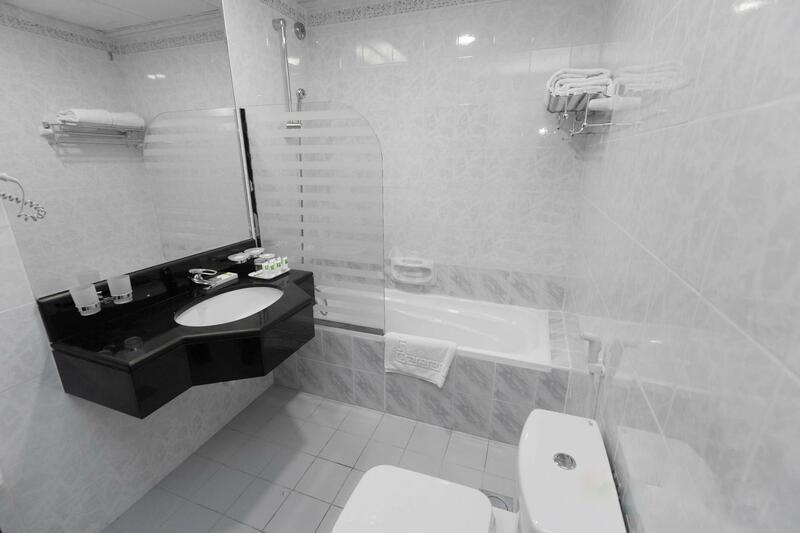 The hotel is clean and worth for the money you spent and close to Union Metro Station,just 3mins walk. From the exit/entrance of metro station, the hotel is just opposite..cross the road on the right side.. It is relay located in easy place. Very close to Metro Train. Staff also very helpful. Meal prices are reasonable. Very tasty foods. But air freshener use in corridor areas (outside rooms) is little bit unpleasantness. All others are Okay. Location, staff, convenience to nearby stores and restaurants are just some of the plus factors when you book with Comfort Inn. Just a walking distance from Union station and all the good restaurants where you can find a variety to choose from. There's a convenience store across the hotel and a mall about 500 meters away. Bed sheets are white and tidy plus there is a bath tub, hot and cold showers are available and there's a swimming pool at the roof deck. 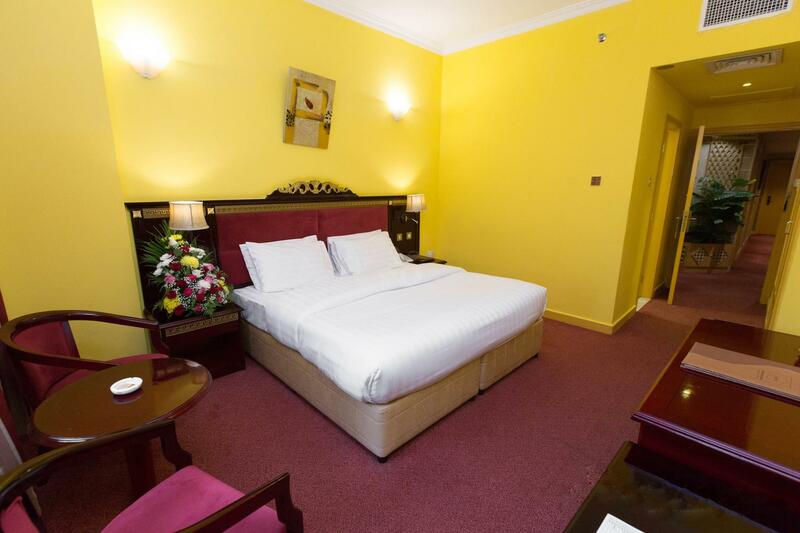 The Comfort Inn is probably the best value hotel in Dubai. The rooms are a decent size, the staff are polite but also leave you alone, the wi-fi is free and very fast and it is located next to Union metro station. The restaurant is excellent value - an all you can eat buffet for 29 AED. There is no bar or nightclub so you can actually get a good nights sleep too. The only downsides are there are no tea/coffee making facilities in the room and the shower is a bit weak. Overall, great, I will keep coming back. 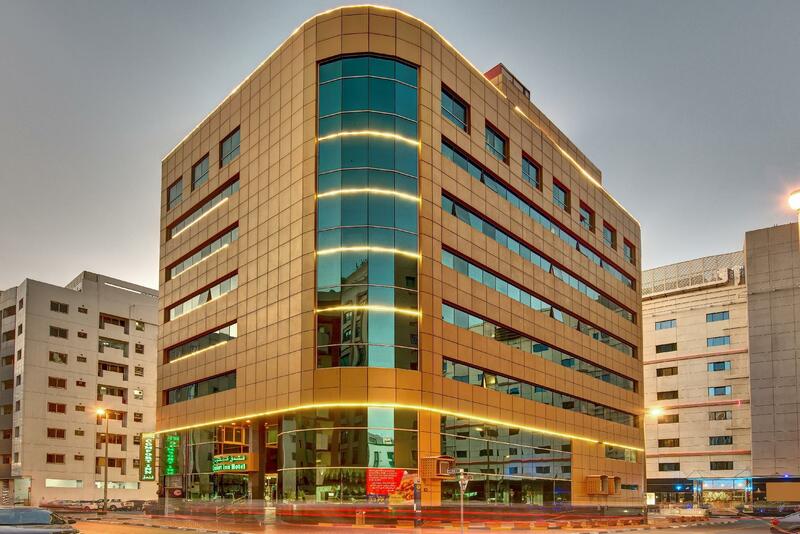 The hotel is strategically located along Al Rigga Road in Deira, providing easy access to the metro (Union Square Station) and shopping malls and restaurants. Just across the hotel is a convenience store where you can buy your goddie goodies. I think it is the cheapest standard hotel in the area and manned by English speaking staff, mostly Filipinos, and that worked in our favor because we can easily communicate our needs to them. I just hope that they can provide a water pot heater for each room so guests can drink their own coffee and hot beverages because right now they have to pay 10 dirhams just for a glass of hot water. Overall, I can highly recommend this hotel and will probably stay in this hotel again when I get back to Dubai. Location is good. Staff are helpful. Cleanliness is ok. The only problem we had is there were no complimentary water and kettle for coffee inside the room. Anyhow there are stores, shops and restaurants nearby. great...very reasonable price for a bb...very friendly staff,we had no problems...free wifi as well...however the rooms are a bit small but it ddnt bother us much as we were often outdoors...one thing to improve though is smells in the corridors..floor 7 corridor always smelled cigarette smoke..n floor 1 towards the restaurant always smelled like 1940 building....overall great place and may definitely come again. I would say this is an excellent place for those wishing to public transportation as Union Station is a walking distance. The hotel has polite and helpful staff who helped us during our stay. There is a close supermarket. Check in and check out was very fast and they helped us get a taxi to DXB. During our visit, we paid AED 10 as a tourist charge at the end of our stay, after the staff notified us of this during check in, which was a grand gesture. I would use this place again. The staff of the hotel are great, smiling people and hotel's clean. it's a few meters from UNION MetroStation, just across the overpass to DAY to DAY store. on the left side, you can see the Ghurair Mall. at the foot of the overpass is a Restaurant that serves good food, there's a Supermarket & further towards the RIGGA metro station, just a few minutes walk, is the Lomi Restaurant. All in all, ALL you need is just a stone-throw away! Highly recommended! I stay for almost 1week as a solo traveller. The location is good,very near to the metro and restaurants. You can go to gold souq, spice souq, deira creek, museum etc in a few minutes. The staffs ate very nice they will attend to your concern asap. The internet is quite ok, they will provide you different password for different gadgets. The security is strict so no problems for safety. Good value for money. Location is superb. Very near to union street metro. Not far from airport. It only cost me 18 dirhams to get back to airport on a taxi. Staff very good and cooperative. Very close to restaurant and shops. We stayed for 9 days and had an excellent experience. The room was quiet comfortable., clean and quiet. The housekeeping staff was very active and cleaned the room even if we left in evening. Lockers were available at the reception. Channels on TV were limited, ut we liked the movie channels.Kettle was provided on request.There were on-site resturaunts, parlour and roof-top swimming pool.Breakfast, lunch and dinner buffet were available at affordable prices. Economical and tasty Pakistani resturaunts were at walking distance. A 24*7 supermart was in front of the hotel. Al Ghurair mall and union station were at 500 meters approximately. Carrefare (I think) in the mall was a good store for buying any and everything. Airport was reachable by metro as well as cab (About 25 to 50 AED depending on traffic and which cab u use). 'Airport taxi' from airport to hotel costed 50 AED (It starts from a base fare of 25). Burj khalifa is about 30 minute metro ride. สถานีรถไฟใต้ดิน Union - ระยะ 0.33 กม.